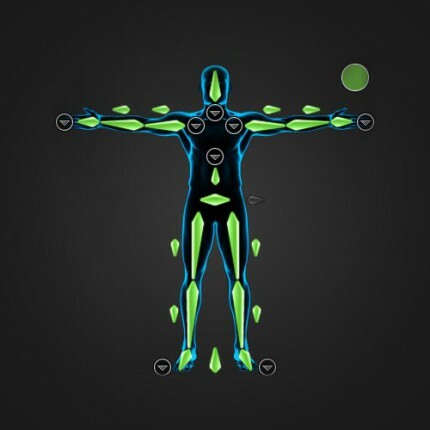 Get real-time mocap data from QTM into MotionBuilder. QTM Connect for MotionBuilder is a plugin for MotionBuilder that enables streaming real-time skeletal and optical data (markers). Stream mocap data in real-time directly into MotionBuilder with minimal latency and see the motion capture performance applied on a fully skinned character in real-time. You can also stream data from files with processed mocap data. Qualisys Skeleton Device handles streaming of skeleton segment transforms (6DOF) from QTM. 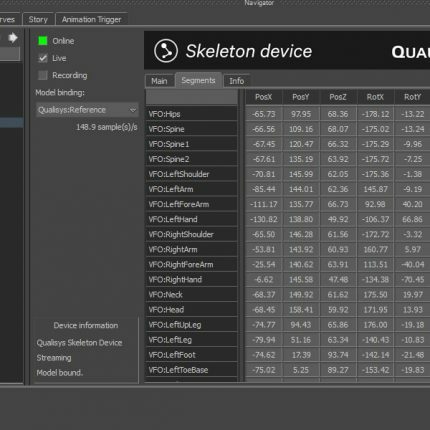 The skeleton data is automatically characterized which makes it very easy to connect a streamed skeleton to any rigged character. 3D markers are streamed using Qualisys Optical Device and can be used to map an animated character with optical 3D data. QTM Connect for MotionBuilder uses Qualisys open-source C++ SDK available on GitHub. Autodesk® MotionBuilder® software is a powerful, real-time 3D character animation productivity suite for games, films, television, and multimedia. MotionBuilder offers animators and technical directors real-time animation display and editing, a non-linear environment for 3D editorial, and tools for customizing, and extending the software.